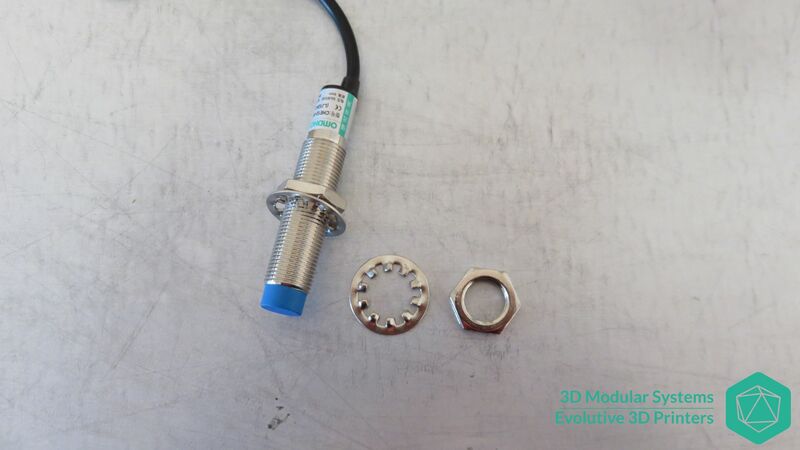 Take 1 screw, 1 nut and 2 washers as well as the GoPro fan support. 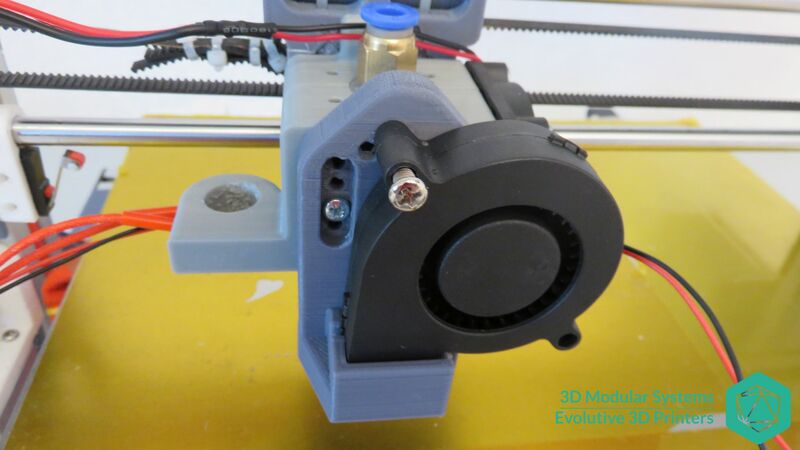 Now screw the GoPro Fan support on the blower fan, using the hole just next to the blower fan power wires . 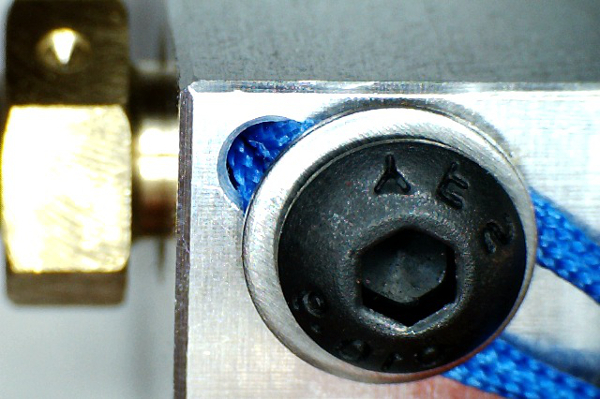 Assemble it as follow: screw-washer –hole — washer – nut. 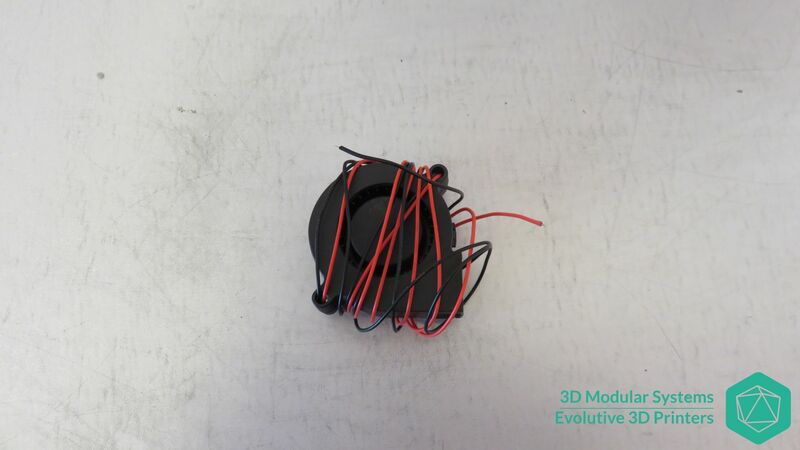 This photo shows the other side of the fan. 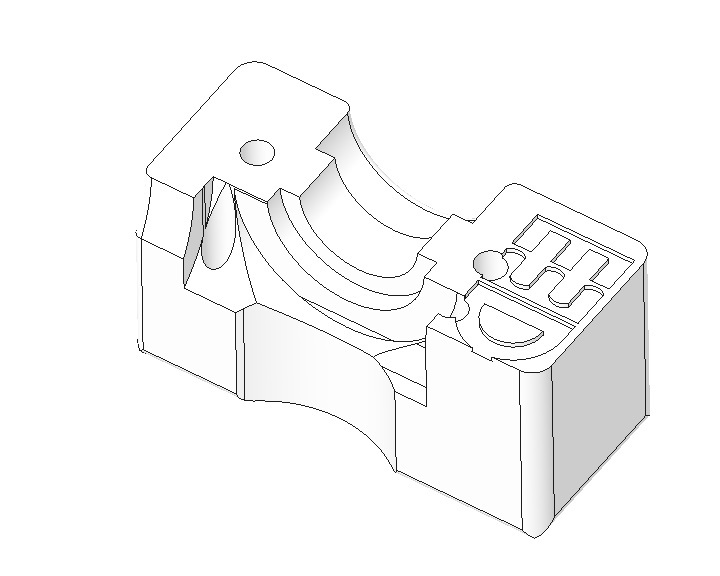 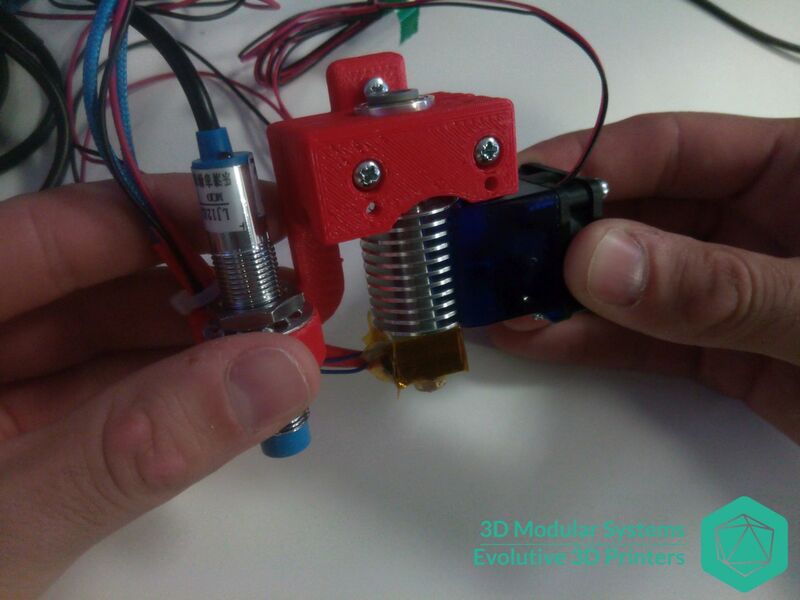 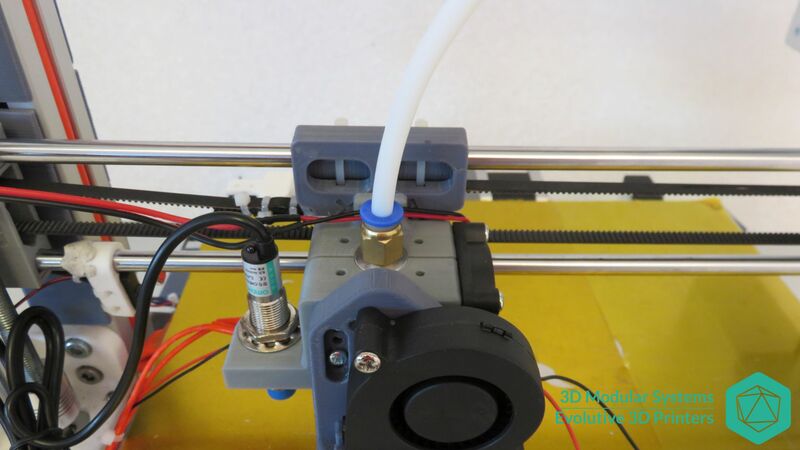 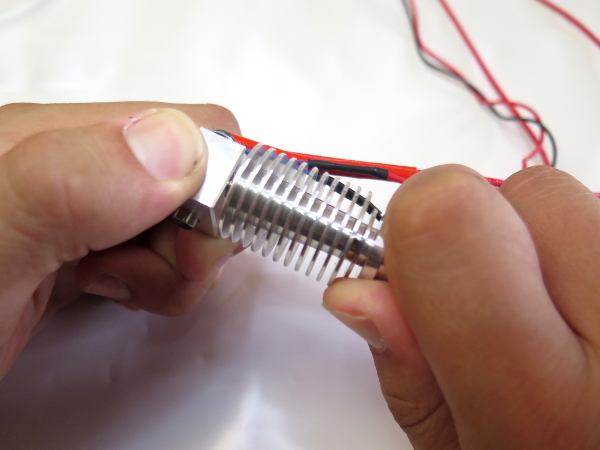 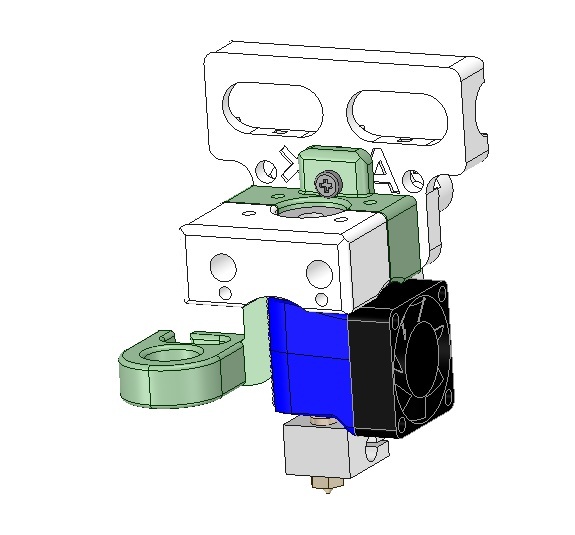 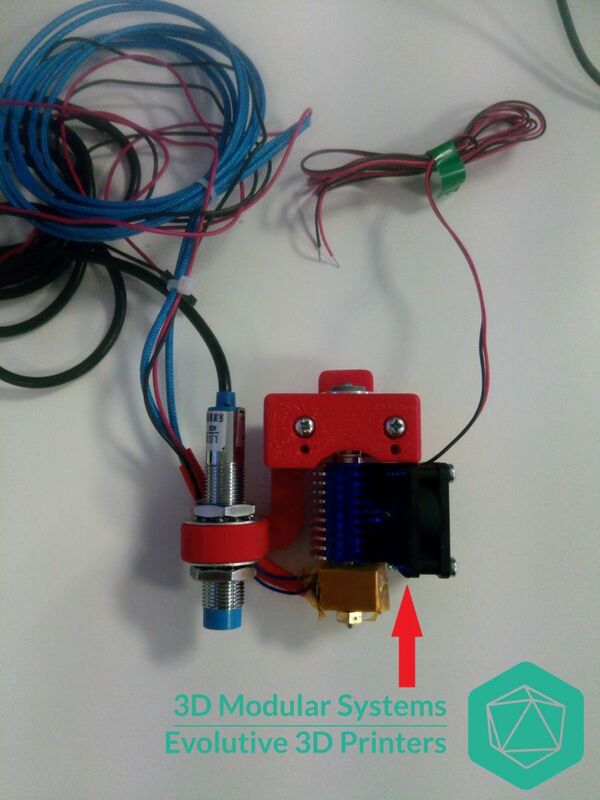 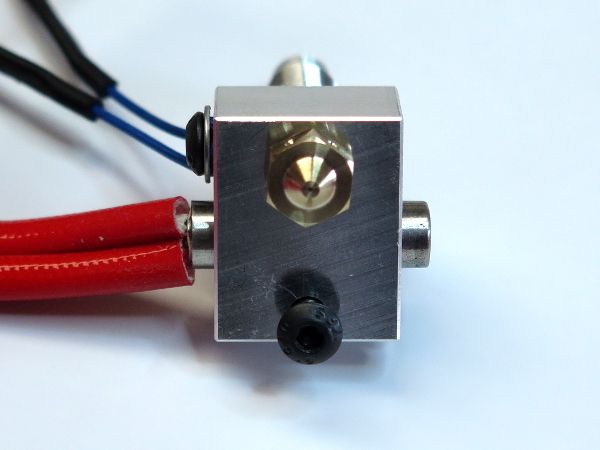 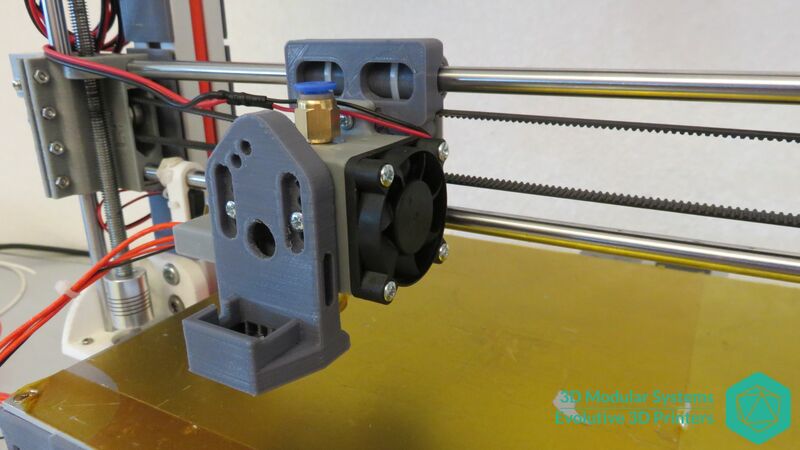 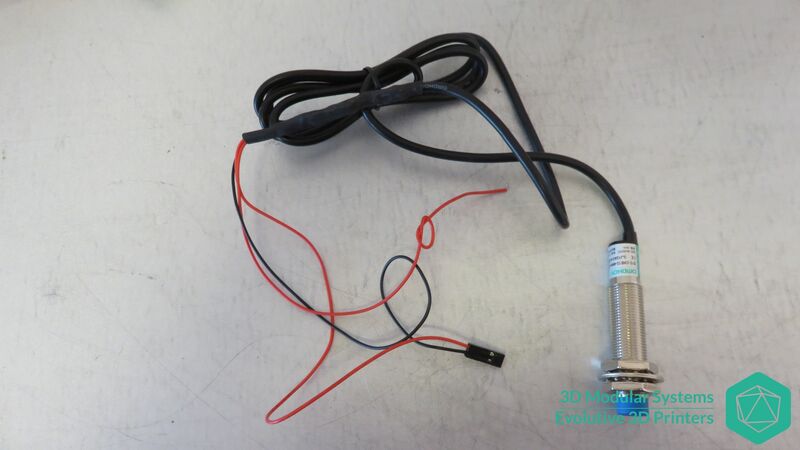 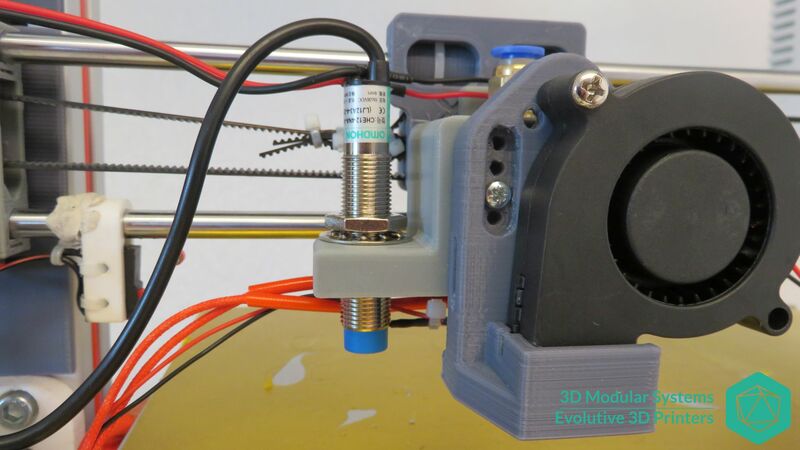 Place the whole assembly on the compatible support on the HotEnd block The photo shows you how to do it. 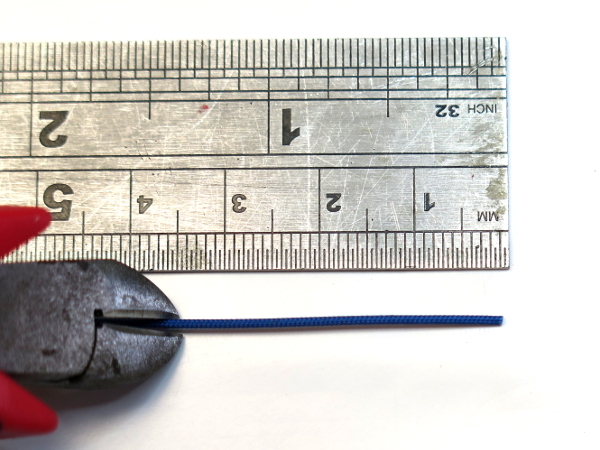 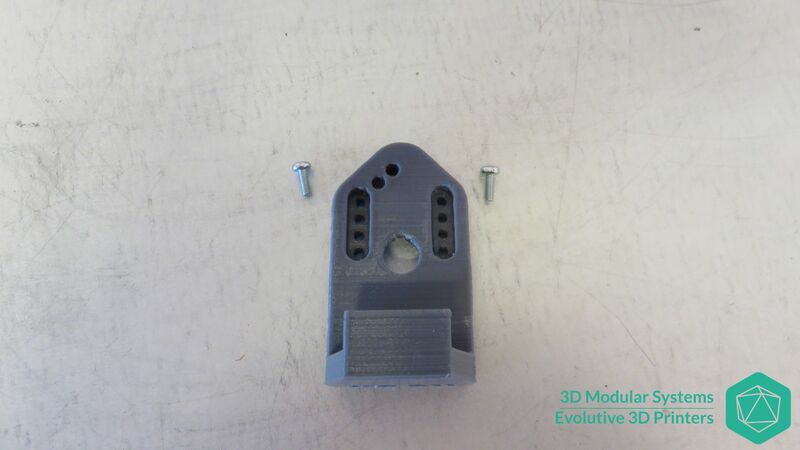 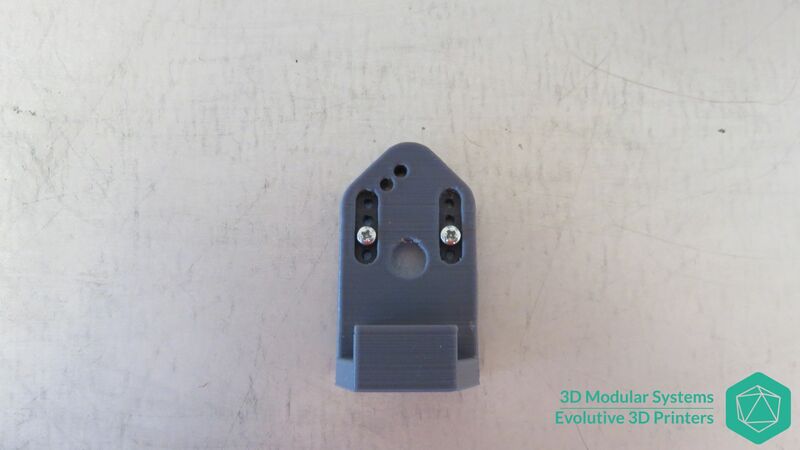 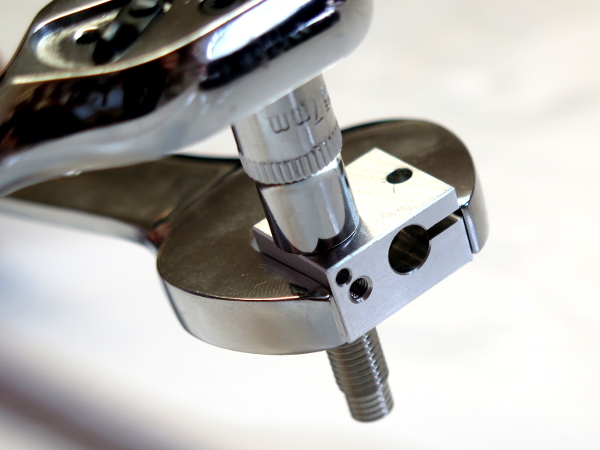 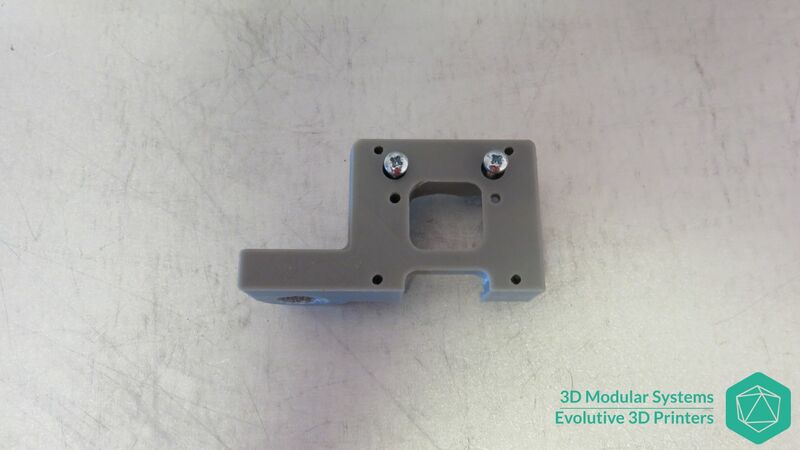 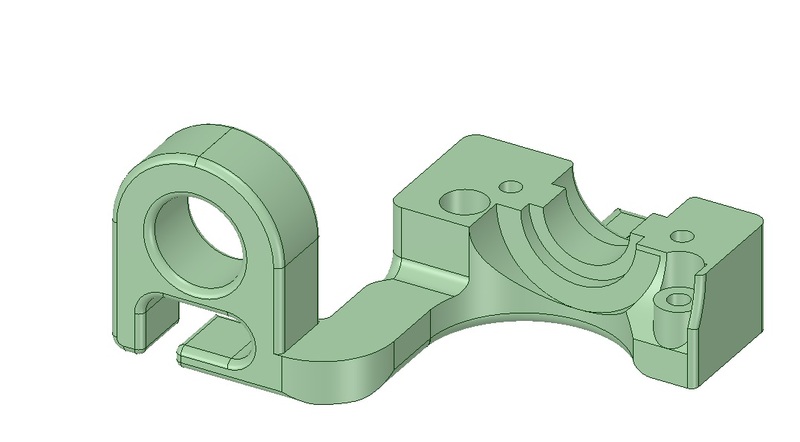 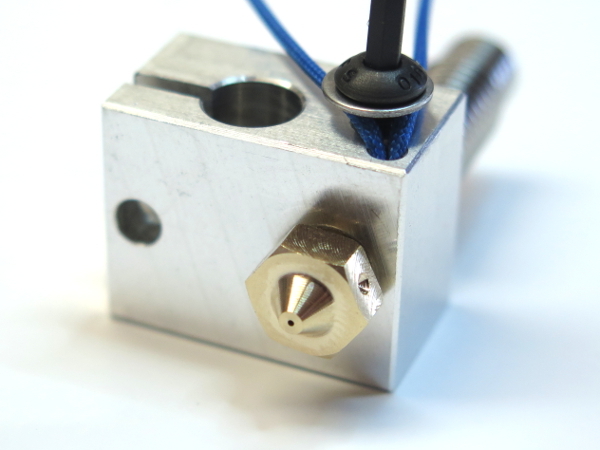 Secure it using the remaining fixation elements (M3x25mm screw, washer and nut). 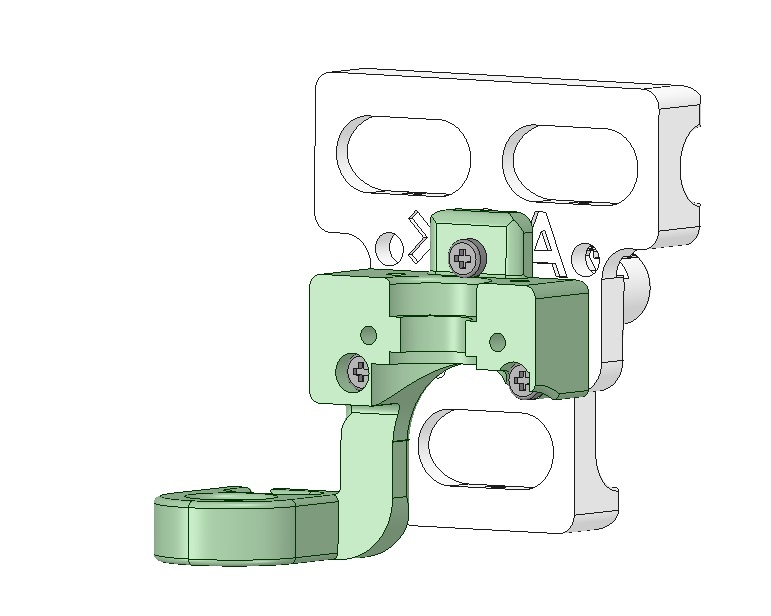 You can place the screw head any way you want. 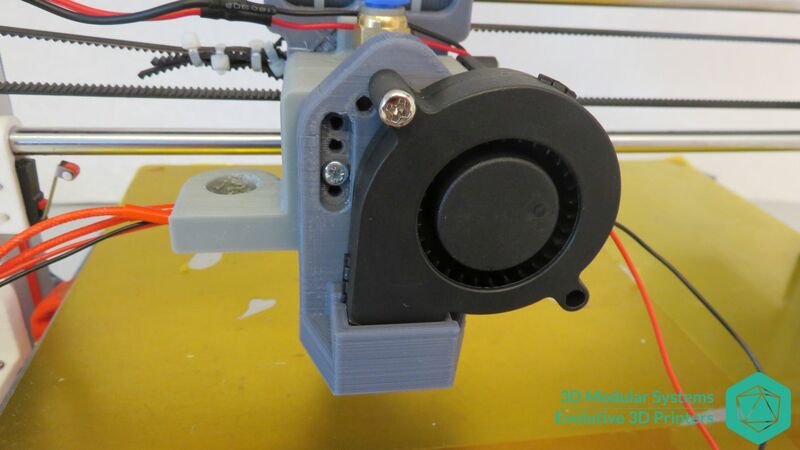 Now, tighten the whole thing enough so that the fan can be oriented but can stay in desired orientation. 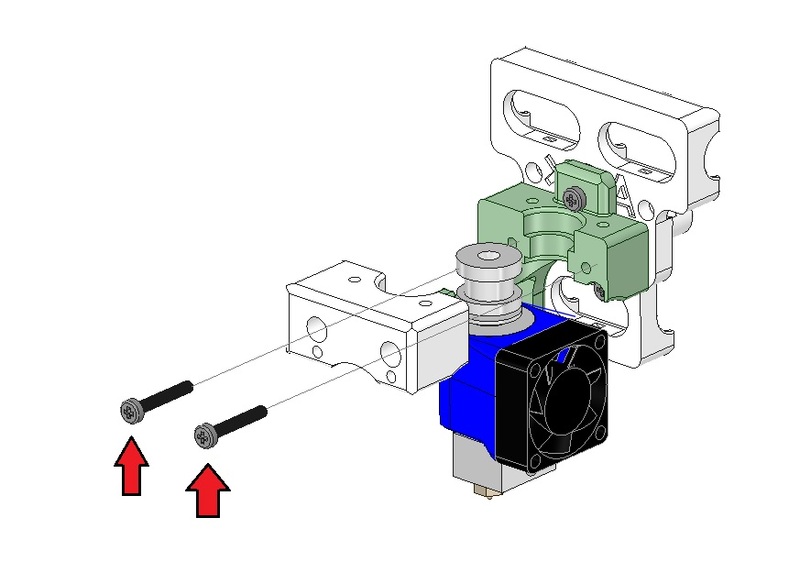 Install the fan shroud as shown on the picture. 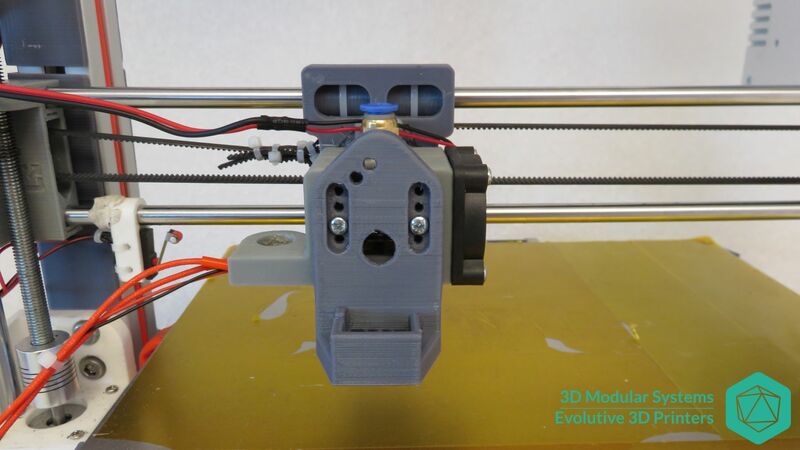 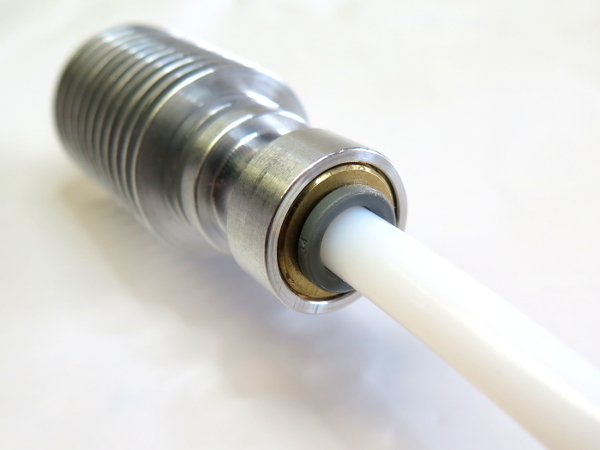 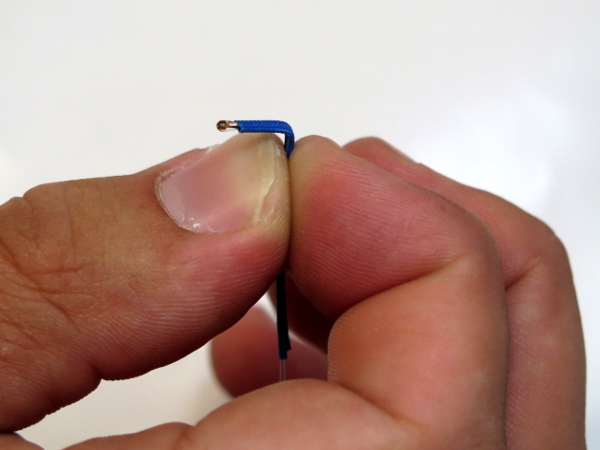 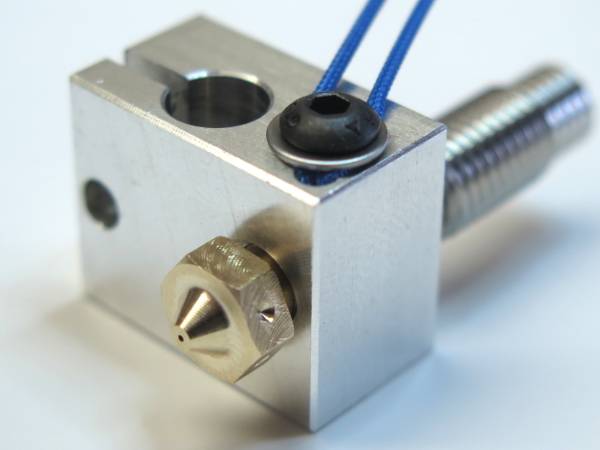 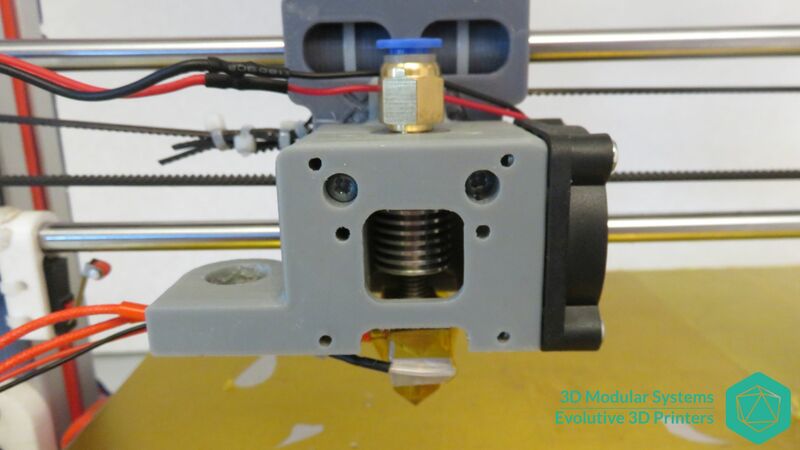 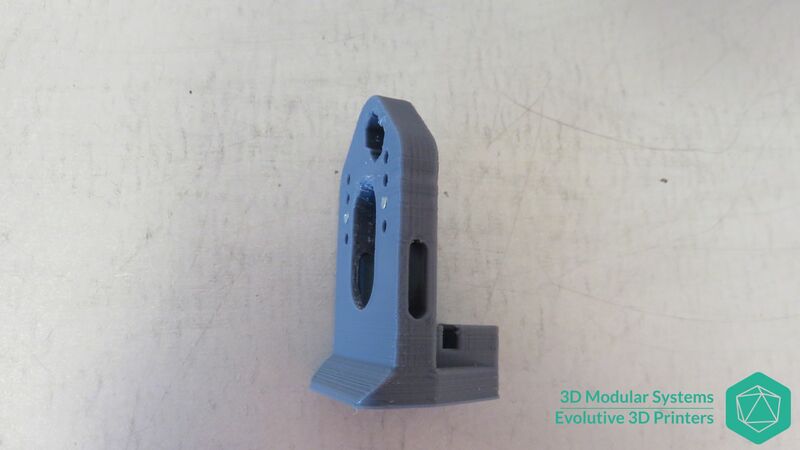 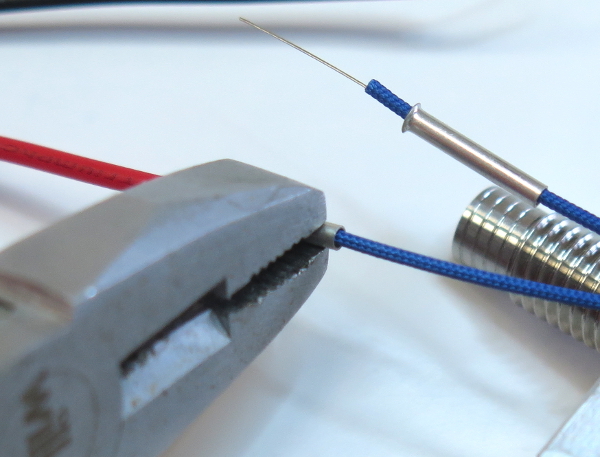 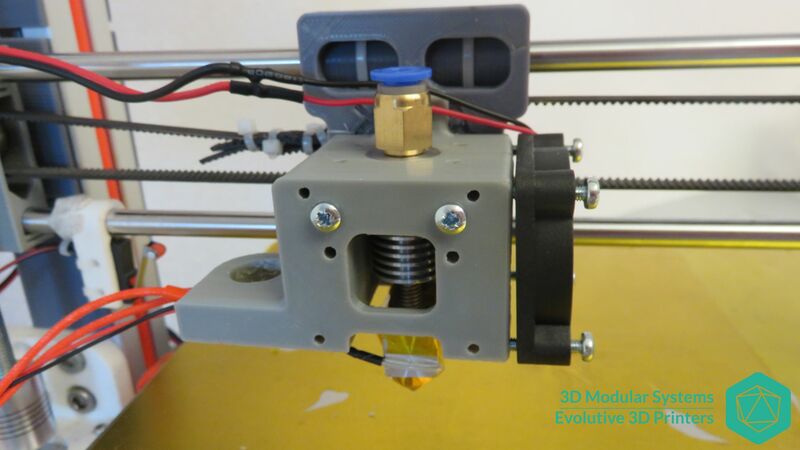 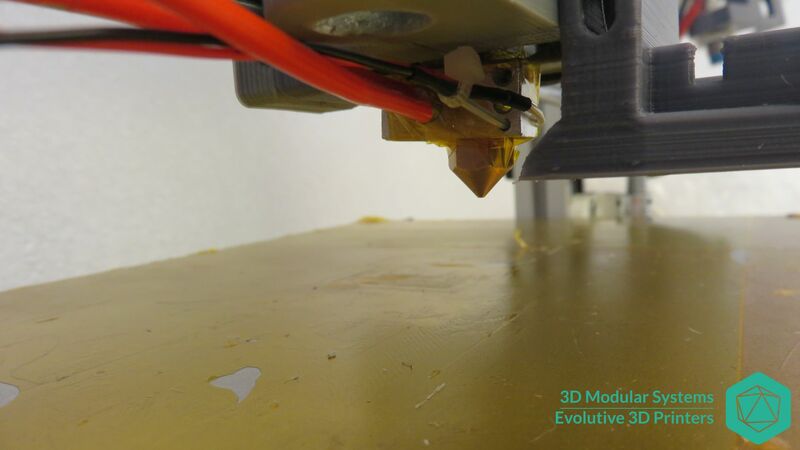 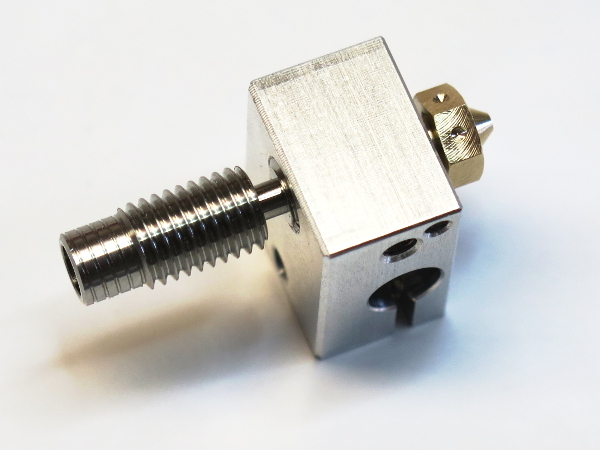 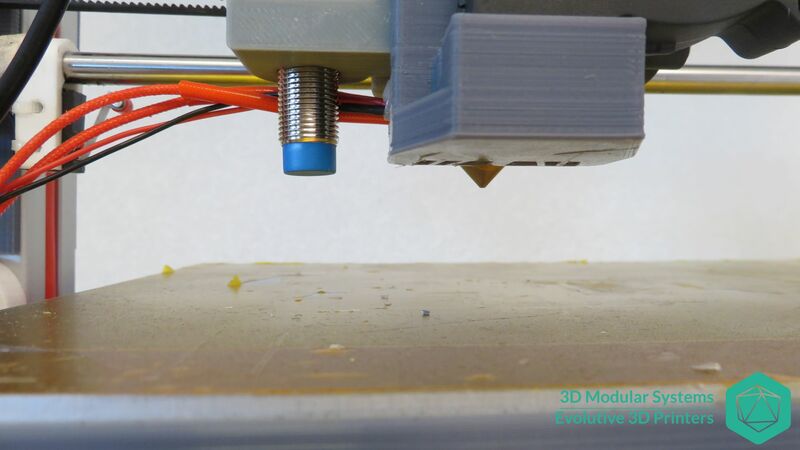 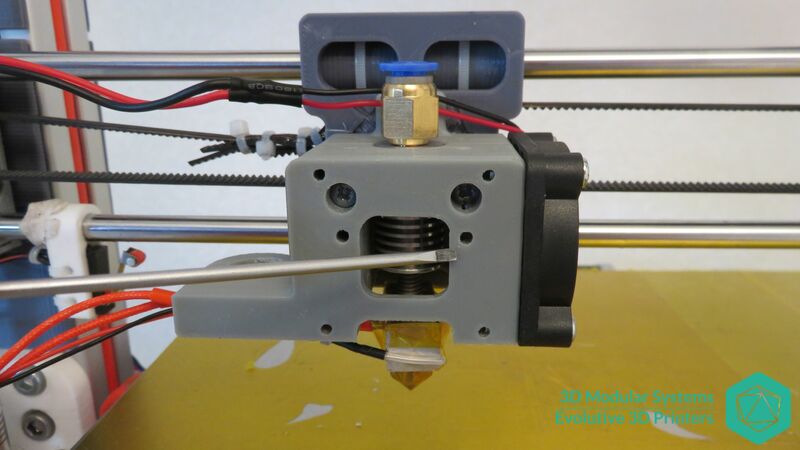 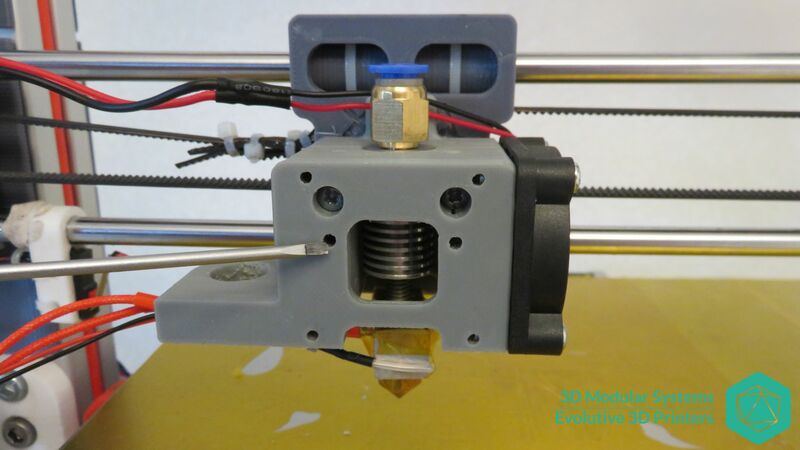 This last part is to cool down and harden the plastic just after it exists the hot end nozzle. 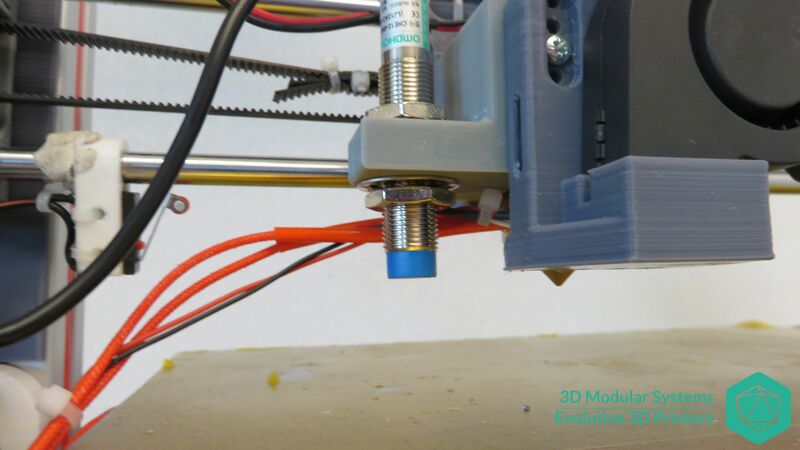 You will need it when you will use PLA. 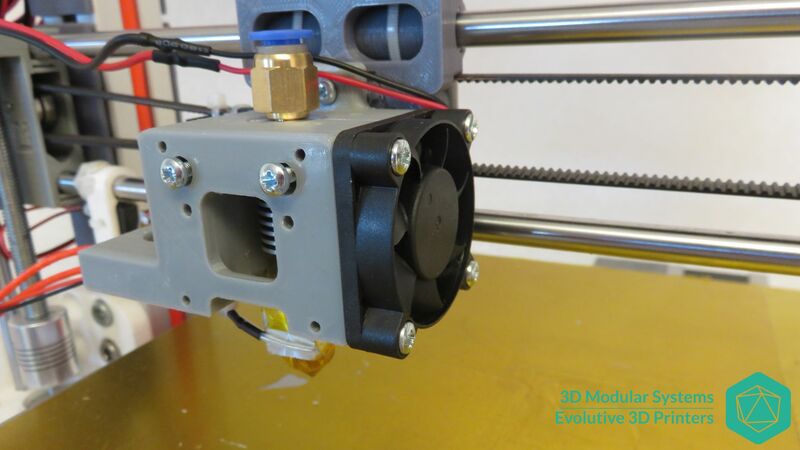 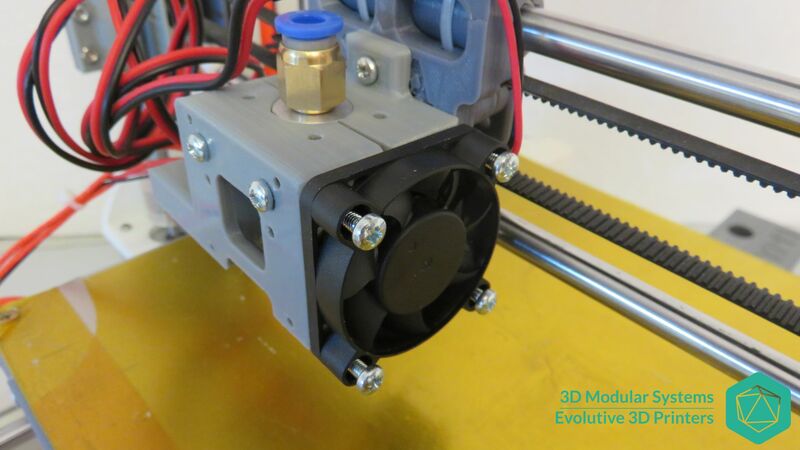 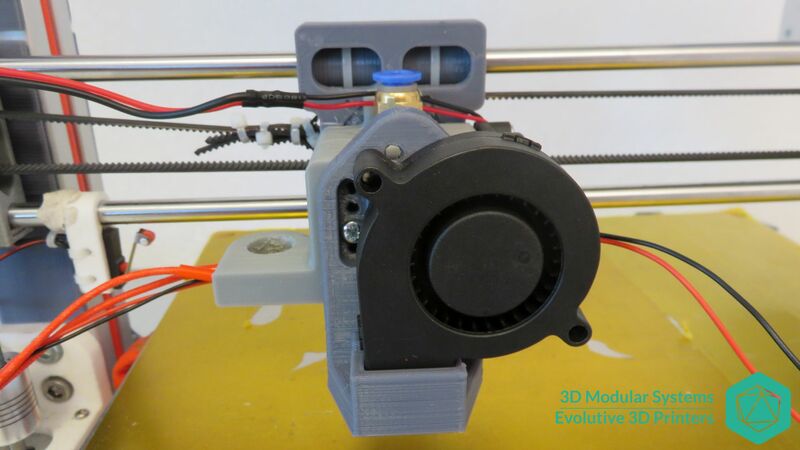 Rotate the fan block and adjust the orientation so that the blown air will cool down the bottom base of the nozzle. 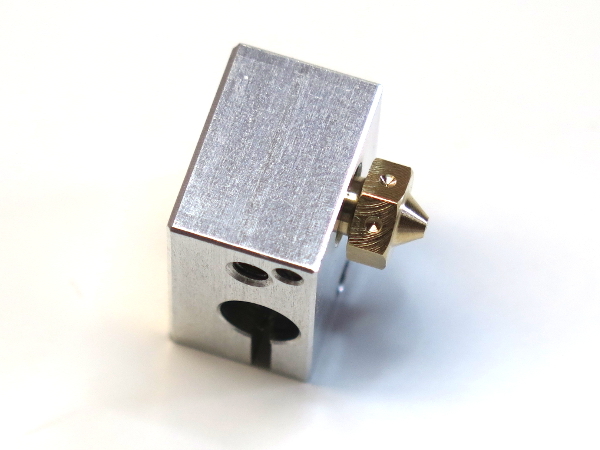 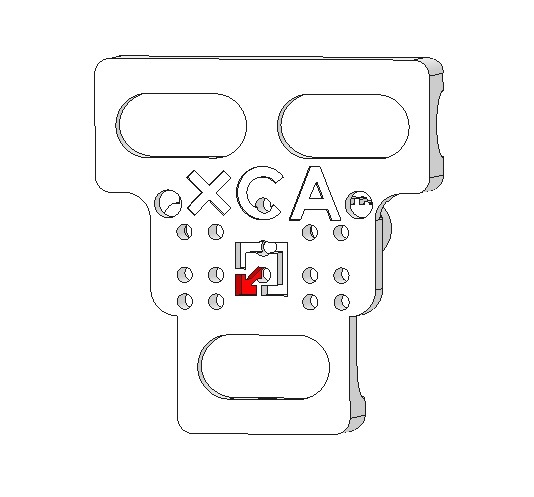 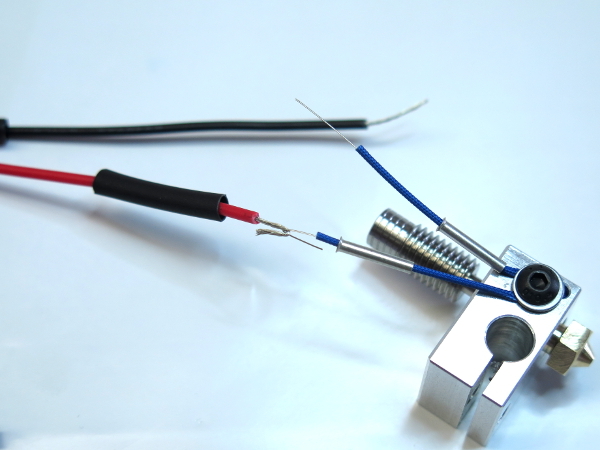 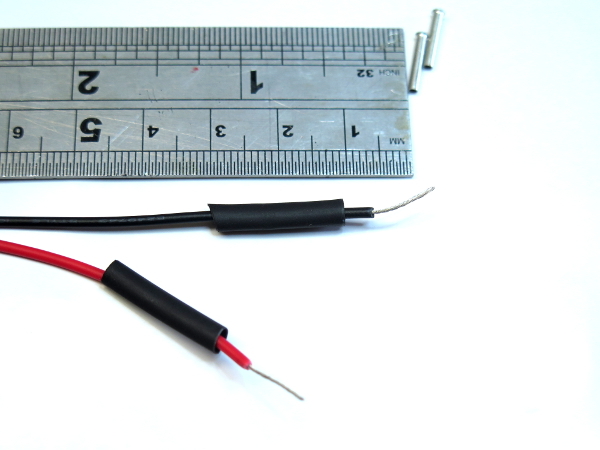 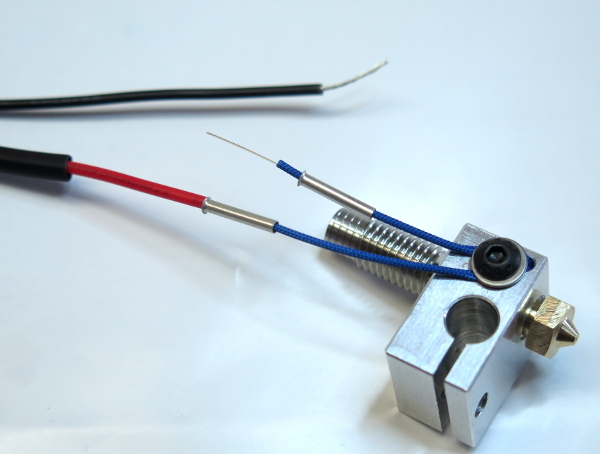 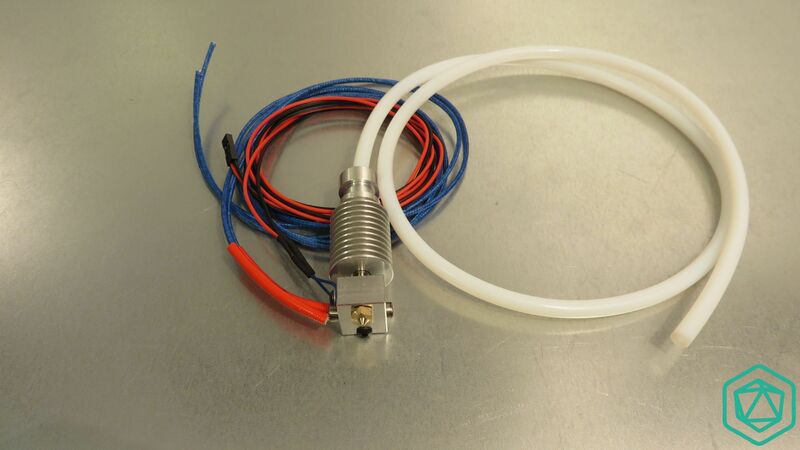 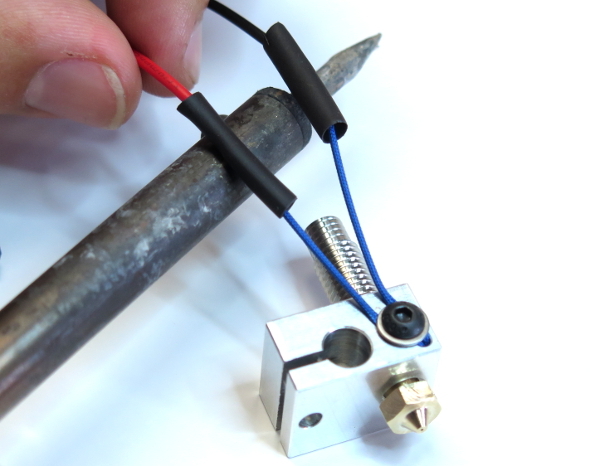 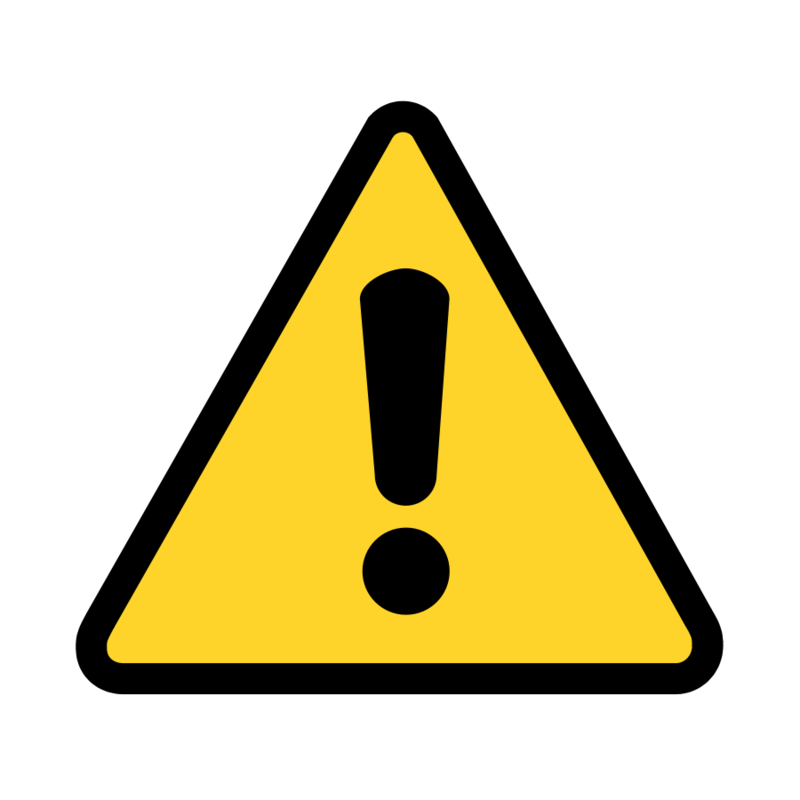 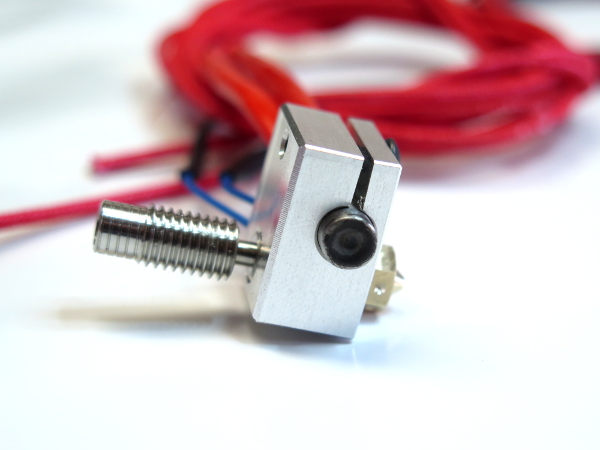 Warning: If the orientation is too much toward the hot end’s heater block, the fan will prevent the heater block from heating the plastic filament enough. 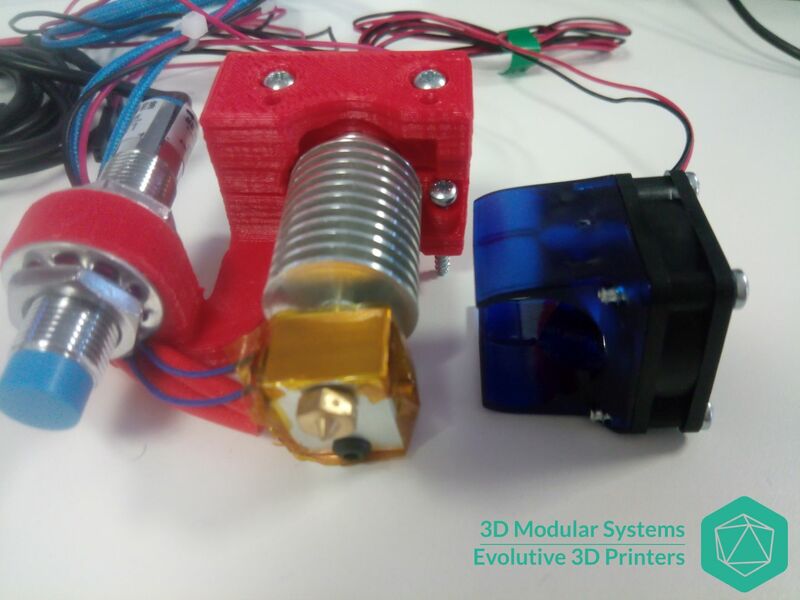 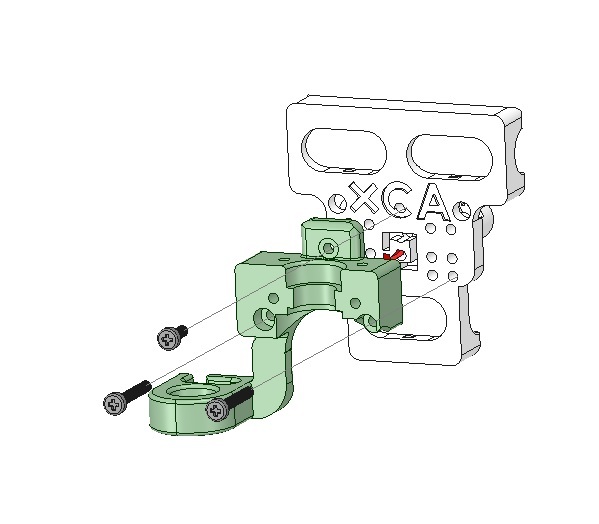 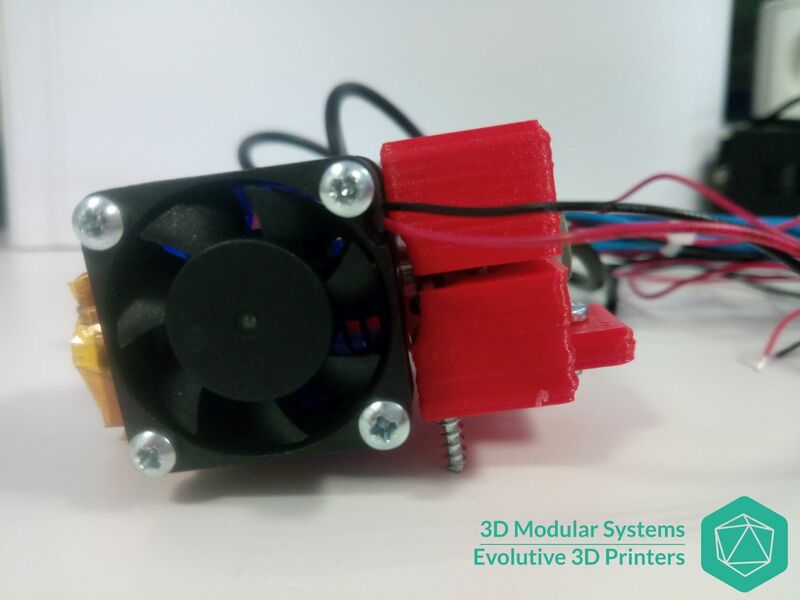 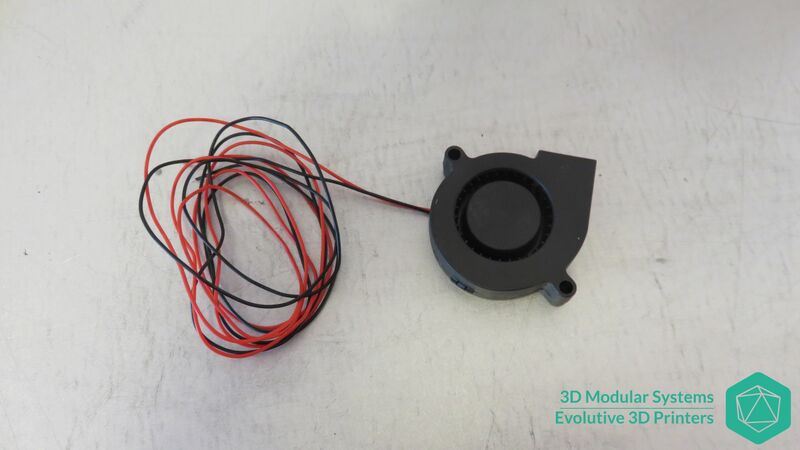 Cette entrée a été publiée dans Axe X, Electronique, Imprimante Scalar, Imprimantes, Scalar XL, Têtes d'impression, et marquée avec auxiliary, blower fan, fan 12V, hot end, instalaltion, setup, le 14 May 2015 par 3D Modular Systems.